I’m trying desperately to stay active while I’m at college, and I’m doing a pretty good job so far. Follow my twitter (@maevereads) if you want to see much more of me. Now on with the unboxing! 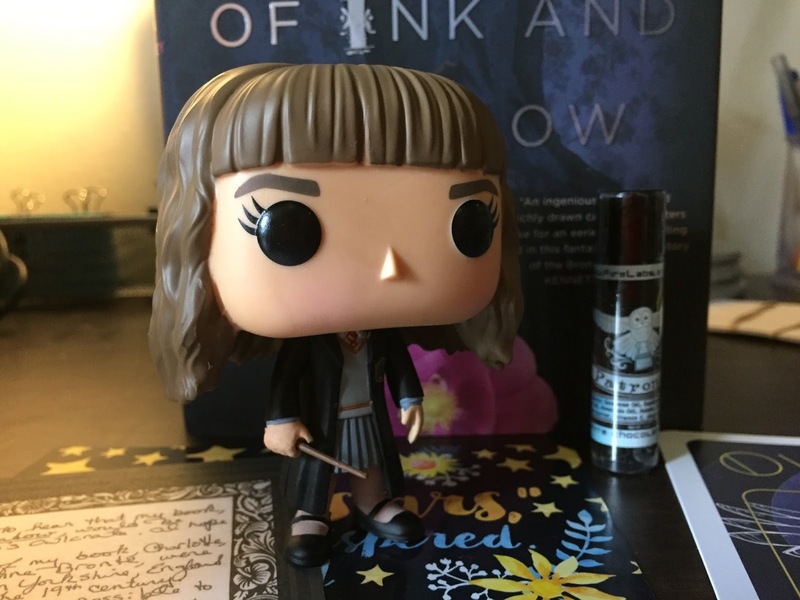 The theme of this months box was Magic, and of course when I heard magic I immediately hoped there would be some Harry Potter themed items, and I wasn’t disappointed. The first thing I saw when I opened the box was a Pop! 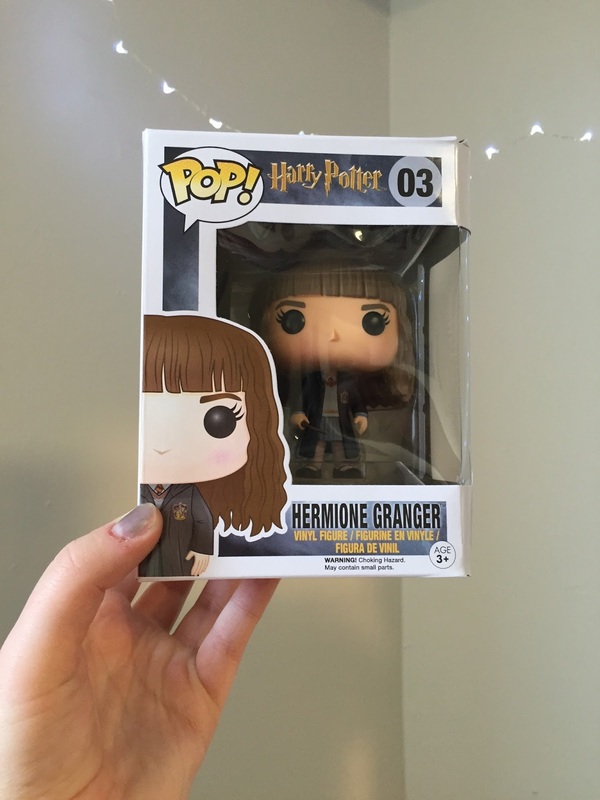 Vinyl Figure of Hermione Granger! My brother got a Han Solo figure a few weeks ago and I’ve been in love with them since, and Hermione has always been my favorite Harry Potter character! Next were two pieces by Evie Bookish. 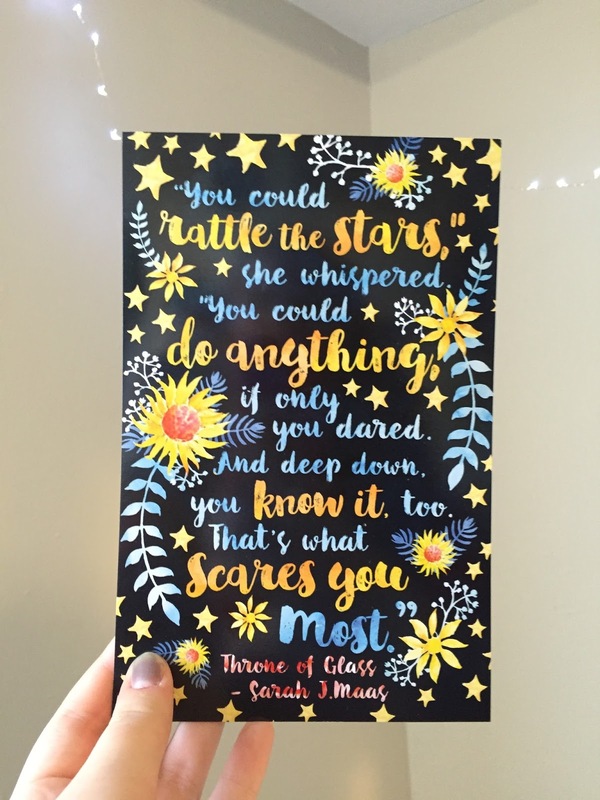 First, a Throne of Glass print which I love! It’s probably my favorite item from this month’s box. The Second was a bookmark from the Raven Cycle series, which I haven’t read yet. I didn’t take a picture of the bookmark, but if you look on Instagram under the hashtag ‘owlcrate’ you can find pictures of it. 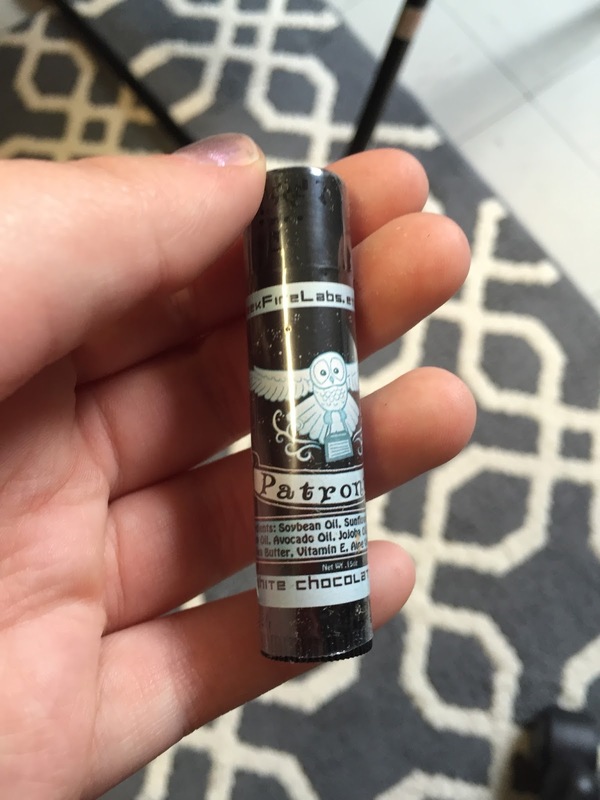 Next was Patronus Lip Balm from the easy store Geek Fire Labs. I’m not exaggerating when I say this is probably my favorite chapstick ever. The flavor is mint and white chocolate, and it doesn’t feel sticky or thick on your lips like some chapsticks can, and it also gives your lips a nice sheen. Favorite. Chapstick. Ever. And finally, the book. 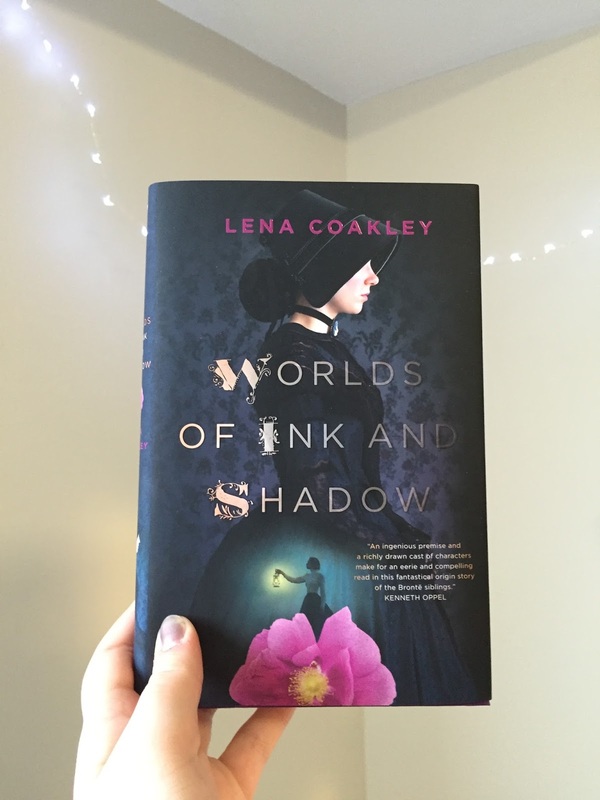 This month’s book is Worlds of Ink and Shadow by Lena Coakley. This book is a retelling of the lives of the Brontë siblings. The siblings have the ability to escape into their fictional worlds that they write about. This novel sounds so interesting and I can’t wait to read it. The box also came with a paper doll set that goes along with the novel, but honestly I will probably never do anything with it, so I didn’t bother to take a picture of it. Also included was a note from the author, Coakley. This month’s box was great, and I can’t wait till next month!